The Service department staff is equipped and ready to offer our customers top-notch service 24/7. Our team is second to none including a dedicated Operations Manager & experienced Estimators plus a full staff in Administration, Quality Control, and Sales. It’s no secret that Springer-Peterson’s Service department is unique with its legendary quick response time and dedicated, talented, and tenured staff. Our customers often tell us that our service is defined by professionalism, reliability, and relationships. This is at the core of what makes us the ideal roofing partner. Aside from our decades of experience, Springer-Peterson puts a value on the career development and retention of our outstanding employees. This has resulted in numerous employees with long-standing careers with us, often 10, 15, 20+ years. This positively impacts our continuity of customer relationships which is practically unheard of in our industry. We’re proud to operate from one central and easy-to-access location along the I-4 corridor, which also encourages sustained relationships with our customers. With the 2nd largest service department in Central Florida combined with 21 fully stocked, service vehicles… you never have to worry about the roof again. Let us take care of all your roofing needs… saving you time, money, and a lot of headaches along the way! Disasters can be truly devastating and response time to property damage becomes crucial. A disaster can result in dire consequences, often causing severe financial losses. The chaos that typically follows a hurricane, tornado, or other disaster is known to cause contractors to be overwhelmed, often putting your needs on a long wait list that can last weeks or months. Fortunately, with Springer-Peterson, we’re well known for our vast capabilities and fast response times in disaster situations. Our infrastructure is designed to serve you with the highest sense of urgency. 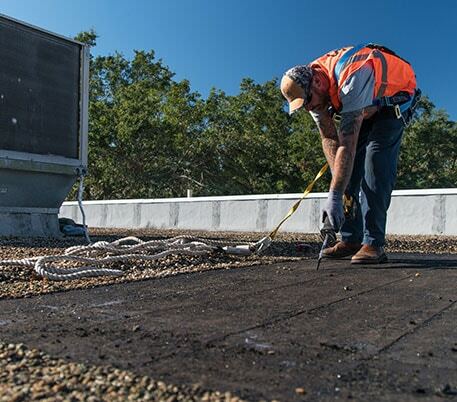 Whether it’s water intrusion or total roof collapse, Springer-Peterson is there at your site in a timely manner to inspect, repair, and/or replace your damaged roofing system. With the increase in frequency of hurricanes in the state of Florida, it’s peace of mind in choosing a roofing partner who has the capability, experience, and expertise to service your roof in the most extreme and urgent situations. 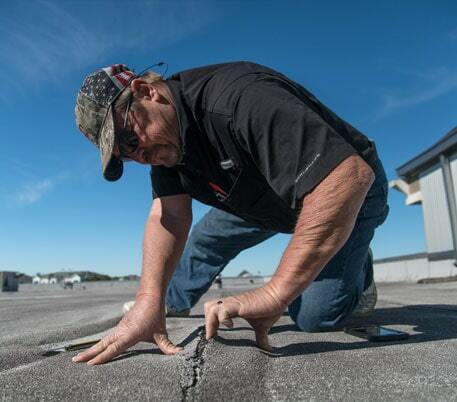 Surveys/Assessments are standalone services that Springer-Peterson often provides for new and existing customers in need of an in-depth roof inspection and detailed report. We routinely work with a variety of customers including but not limited to Property Managers, Building Owners, and Multi-Facility Owners for these requests. There are many reasons for surveys/assessments but for example, a survey is deemed necessary when preparing to sell a commercial building. It’s our goal to make this process seamless, professional, and efficient for our customers. With a survey/assessment, you can expect Springer-Peterson to carefully examine the quality and overall condition of the roof. The report generally contains specifications on observations, photos, and recommendations. This can be described as a professional narrative of your roof. 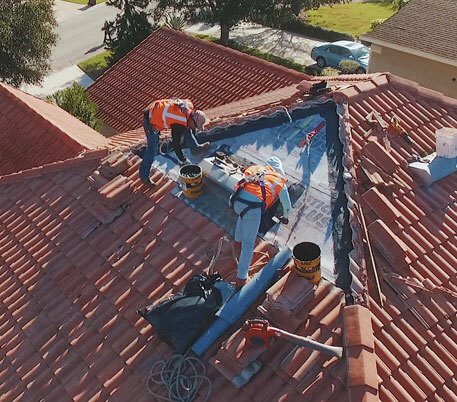 We will be glad to provide you with a survey/assessment whether you are an existing or new customer which we know will provide you with ample, relevant, and detailed information about the condition of your roof. Springer-Peterson’s Service department is ready to serve you with all of your Roof Repair/Build Out needs. Our legendary response time and dedicated, talented, and tenured staff is guaranteed to make a difference in your overall customer experience. Same day/Next day service is always the norm with us and we pride ourselves in offering this unique service to our customers during these stressful times. Whether it’s a leak, a hole in the roof or anything in between, we’ve got the roof repair covered. You’ll have a sense of comfort knowing that our technicians are highly experienced and up to date on the latest & greatest training in the industry. Safety is a top priority and our special clearance allows our Springer-Peterson technicians to work at hospitals, government agencies and similar high security entities. We’re especially accustomed to tenant build outs as we have a long list of shopping centers we provide service to. Often, we’ll need to go in and flap back roof curtains, vents, AC lines, and the like to get things started. All you need to do is call us and we’ll be there! Here at Springer-Peterson, we’re experts on the roof life cycle and how it works best after decades of servicing commercial customers. Typically, we’ll start working with customers in two different scenarios. In the first situation, we will start servicing a roof and then re-roof when the appropriate time comes. Alternatively, we’re called just when the roofing reaches the end of its service life and then need to install a brand-new roof. In either case, Preventative Maintenance is key critical to getting the most out of your roof investment and extending its life. Ideally, we all want the life of the roof to go beyond its typical warranty period. Preventing costly repairs or replacement by flagging the first signs of damage is also another benefit of routine maintenance. At Springer-Peterson, we offer our signature preventative maintenance program, Roofshield Preventative Program, so that you can be proactive with all your roofing service needs. 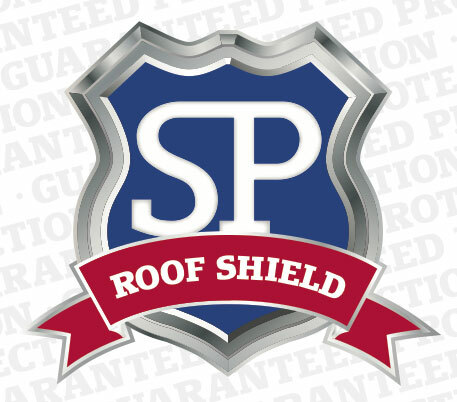 YEAR 1 & YEAR 2– We walk your Springer-Peterson Warrantied roof(s) at NO-COST to you! This includes a visual inspection of your roof. 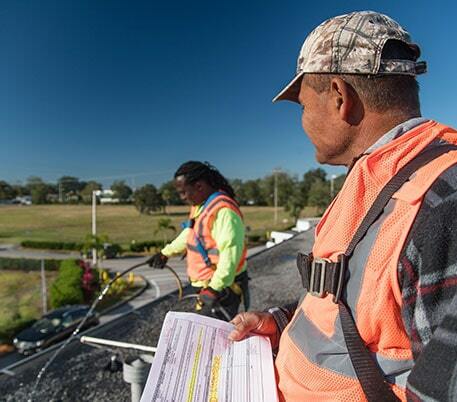 Annual inspections are required to keep up to date with your manufacturer’s roof warranty. YEAR 3 & Beyond – For an ongoing maintenance fee, we will have you scheduled on a yearly cycle to extend the life of your roof. We’ll continue to service your roof until the cycle starts over again when it’s time for a re-roof or new roof. In addition, we have an innovative customer portal that allows you to continually access your roof inventory, invoices, and all things related to your roof so you can plan accordingly in looking ahead with budgets and so on. Choosing Springer-Peterson for an emergency leak is a decision you won’t regret. The promise and follow-through of a fast response time is our strength here at Springer-Peterson. Response time always ranks at the top of the list when we ask customers why they keeping coming back to us time after time. A sense of urgency on our part will save you money and productivity time, this is the bottom line. Every customer is different and we’ll establish different levels and rules for response time that is custom to your organization. In essence, we’ll get to know your business and understand what your urgency is according to your specific industry and organization. For starters, 24/7 is not just talk, it’s not just an availability promise, but it’s how we do business day in and day out. Here at Springer-Peterson, we have an internal structure in place that allows us to respond smoothly and swiftly. When we get a leak call, your call goes to everyone in our building and we’re prepared to respond in according to its severity. Our staffing practices allow for back-up coverage in both personnel and fleet. This proves to be especially important for those leaks that need to be serviced within the hour! It has taken us many years to learn and implement the best practices when it comes to emergency leaks. Let us be your partner and you’ll have less headaches along the way! On-Site Consultation. No Risk. No Obligation. Please fill out the form below and one of our roofing experts will contact you within one business day to find out how we can serve you.